TSA says there is good news for Houston airport wait times. Do you agree? The Transportation Security Administration is out with its most recent look at nationwide airport wait times and Houston. We look pretty good. It confirms Chicago's O'Hare is the worst for wait times. It's followed closely by Newark, Los Angeles International, DFW and Las Vegas. Houston's Bush Airport is number 22 on the list of bad TSA Check Point wait times. Hobby is 61st. The data comes from TSA's hourly checks on wait times at airports across the country. 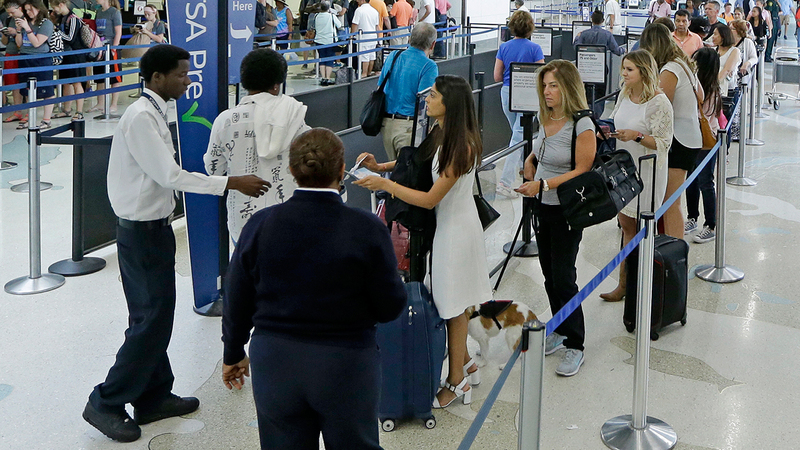 Since May, when the data was collected TSA has pledged to do far more to get wait times down. We want to know what your experience is this summer. Tell us what you've seen as you've hit the airports recently.